Consults State PDP Chairman and other relevant stakeholders. Leading aspirant for the Ikono/Ini House of Reps seat 2019, Rt. Hon. Victot today consulted the State PDP Chairman, Obong Paul Ekpo an d other relevant stakeholders as he further rallies support for his Ikono/Ini House of reps ambition. The member led his Victorious Victor Campaign Organisation Central Working Committee and teeming supporters to pay respect to the party Chairman and officially inform him of his desire to represent Ikono/Ini in the green chambers in 2019. Addressing the Party Chairman during the consultation, the two time law maker thanked the party for graciously giving him the opportunity to serve his people in the House of Assembly while stating that his visit to the Chairman was to prove that the party was supreme. 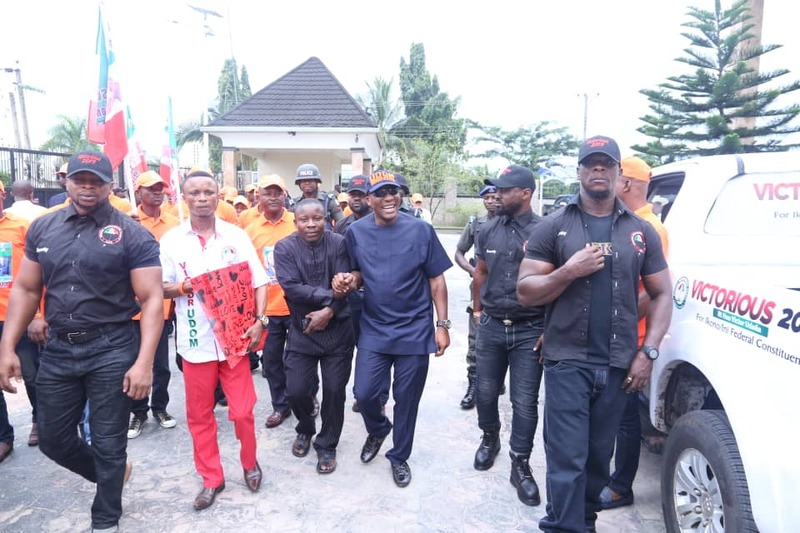 He reiterated his unalloyed support for the PDP and the reelection bid of Governor Udom Emanuel whom he described as a winning team. "My position is very clear and that's that we need the state and for us to have a state we need a Governor in Udom Emmanuel. His message comes first and i keep on preaching it consistently and steadfastly. Udom Emmanuel is the winning team and its impossible to change a winning team", he said. The State PDP Legal Adviser, Barr. Goddy Umoh speaking stressed that politics was about capacity and as such the party would not give the ticket to anyone who cannot prove his capability of winning the general election. Udofia's visit he said was ordained by God for a special purpose, urging the member to keep up the good work. The State Chairman, Obong Paul Ekpo in his response thanked the member for respecting the traditions of the party. He blessed the member and prayed God to guide him through out the election period. The campaign train afterwards visited the home of Otuekong Idongesit Nkanga, Director General of the Divine Mandate who heartily welcomed the team. The member while addressing the former military Governor reiterated his commitment to the PDP promising to work assiduously for Governor Udom Emmanuel's reelection. 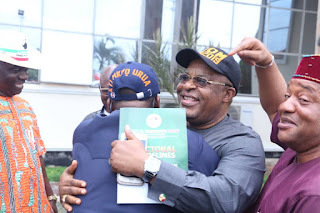 Otuekong Nkanga in his response lauded the member for being a good, honest and dependable man whose capacity could not be questioned. He stated that there was a deeper concern which was the return of Governor Udom Emmanuel. Zoning in the Governorship arrangement he said was necessitated for the sake of power sharing in the State to taste power urging Ibibio people to rise up, speak with one voice and ensure that some misguided elements don't thwart the political arrangement for their selfish gains. "I can't cast my vote for Victor but i will cast my word for him. When the wind of defections swept across the state,Victor Udofia was the first person to come to me to declare he was going no where. We must stand up and say with one voice that Udom Emmanuel must return as Governor. Forget about federal might and those who brag that they will cede the State and the South south to the APC. When the people are with you, there is nothing anyone can do" he concluded. The Uyo residence of the Political leader of Ikono, Sir. Sunday Udo Akpan was the next port of call. 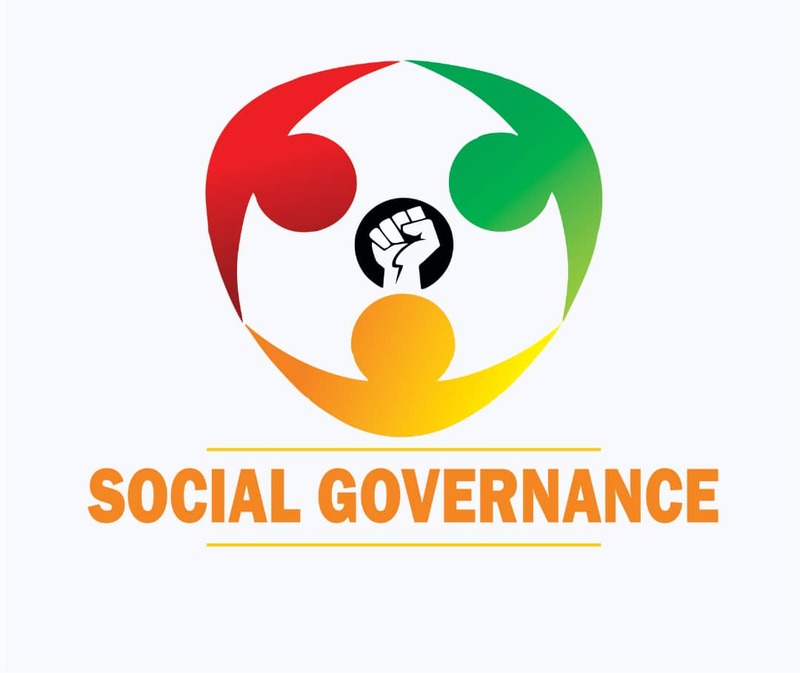 The Director General of the Central working committee, Elder Godwin Usoro in presenting the member to the leader stated that the aspirant deemed it necessary to inform his father of his ambition as a show of respect and loyalty. Rt.Hon.Victor Udofia in his speech thanked Sir. Akpan for the fatherly role he plays in the politics of the Local Government stating that Ikono/Ini was yet to benefit from federal presence hence the need for a change in the status quo. He sued for support from the political leader and assured him of his readiness to restore the glory of the constituency if given the mandate. Several speakers at the event including Barr. Steve Okunnyang, the Chapter PDP legal adviser gave credence to the credibility, experience and capacity of the member stressing that he deserved the support of all progress minded Ikono/Ini citizens. In his response, Sir. S.U Akpan said Rt.Hon. Victor Udofia was the first to ever consult him for political reasons. He thanked him for recognising his relevance and pledged his support for the Udofia cause since he was accepted by the generality of the people. Governor Udom Emmanuel he said deserved support owing to his concerted efforts in bringing sustainable development to the State, urging everyone to stand by him to secure the future of the State. He thereafter presented a book authored by him to the member and the central working committee titled: "The path to manifesting greatness and excellence in character" to aid them in their journey. Sir. Akpan offered prayers for the member urging him to coast to victory with God on his side.